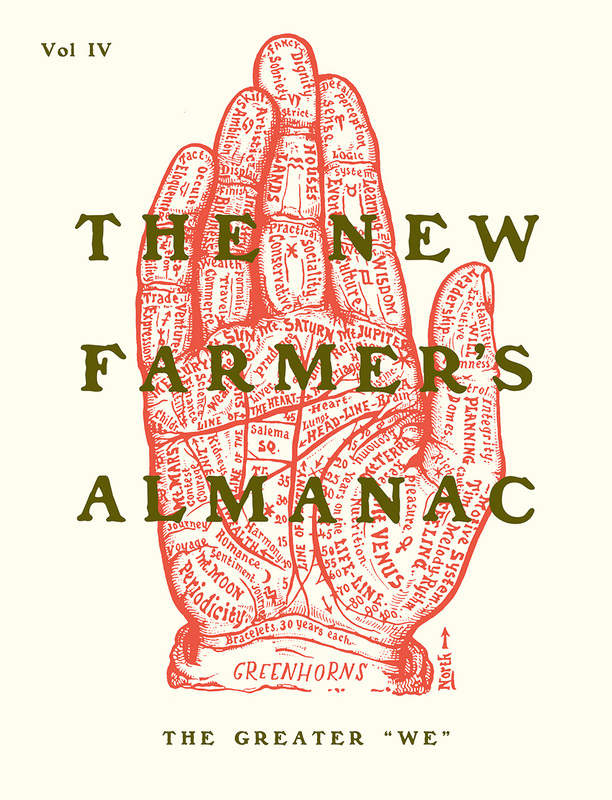 The New Farmer’s Almanac is published by the Greenhorns, a ten-year-old grassroots organization whose mission is to promote, support, and recruit the incoming generation of organic farmers and ranchers. Based in Downeast Maine, the Greenhorns have produced diverse media and publications including films, radio, guidebooks, parties, and exhibits. The new (permanent!) headquarters in an 1896 Odd Fellows Hall has been called “Reversing Hall.” Visitors are welcome to our agrarian research library, seasonal workshops, and fun family camping on the saltwater farm down the road. We are nearly to Canada, with acres of wild Maine blueberries, mussels and clams, edible seaweeds, mossy forest in every direction, and dozens of grown-over grandmother orchards to restore and use for cider. Join the mailing list to get our calendar of naturalist trainings and adventures land and sea.